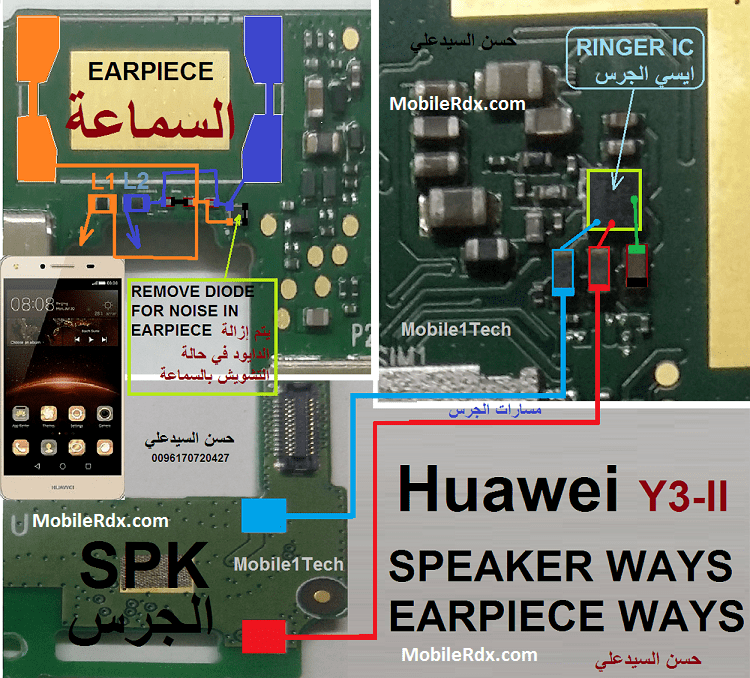 To repair the Huawei Y3II hands free speaker, you may first clean the speaker terminal contact pads on the PCB board if there is a corrosion and oxidation build up., then check the speaker using a multimeter to easily determine if it’s working or not. Replace a damaged speaker if found. If the speaker confirmed okay, you may refer to the solution below and do have a check and test procedure on some components which is associated or connected with the hands-free speaker circuit. Speaker of the phone is considered to be one of the most vital sections of your phone, and this is because if you are giving speaker problems in your Huawei Y3II, then you will neither be able to hear anything on call, and neither you will be able to listen to any of the songs or watch videos on your phone, however it will only be good for testing purpose. Therefore if you are going through Huawei Y3II speaker problem then you would definitely want to resolve it in first place before it gets any worst.